Parents who have high expectations of their teenage daughters can positively influence their child’s future life decisions, a study of Next Steps has found. Girls were more likely to go to university, enrol on an apprenticeship or make positive career choices if they had encouraging parents. They were also less likely to decide to have children during their teenage years. Parents’ aspirations were most helpful for girls who were struggling at school, who often don’t get the same encouragement from friends or teachers. 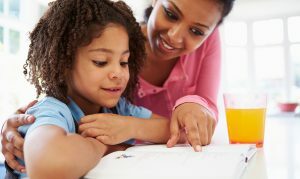 Researchers at the University of Essex explained that parents’ expectations about their daughters’ education may directly influence their daughters’ own expectations, as well as their knowledge of opportunities for the future.